It goes without saying that UK rivers really are on top form. 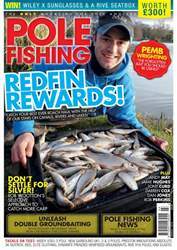 For starters in this issue, Welsh International, Lee Edwards, takes you to an untamed stretch of the Bristol Avon to demonstrate the techniques, rigs, and feeding tricks that you can employ on a seldom-fished stretch of river near you. Bob Nudd is a man who needs no introduction, and this month he reveals a tactic that has caught him thousands of pounds of river fish – the running flat float! If there’s a method to sort out the bigger stamp of fish on flowing water, this is it! 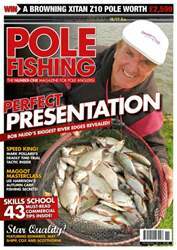 In the small fish department, speed-fishing maestro Mark Pollard uncovers his secret ‘time trial’ method, demonstrating how you can winkle every ounce of silver from your local river. 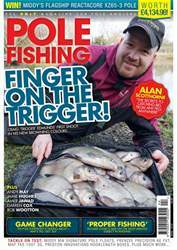 On the commercial front, Alan Scotthorne exposes his secrets behind fishing hard pellets, while Drennan Barnsley Blacks ace, Lee Harrison, shows you how to bag-up on the humble maggot. 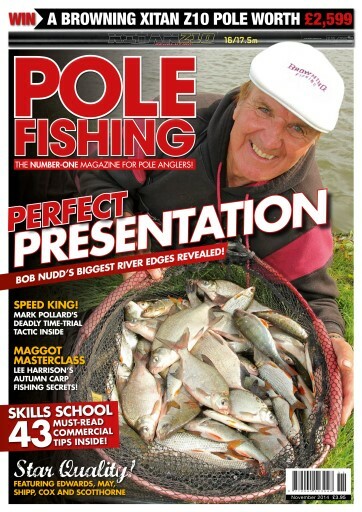 If its commercial silvers you’re after, then Andy May banks over 70lb of them in this months Venue Detective at Gweryd Lakes, while we pit two commercial experts against each other in a bid to find out the best feeding technique for bream and skimmers. There’s also a one-off opportunity for you to join Lee Kerry in the £50,000 Match This Final, as he talks about practicing and fishing the biggest event in match fishing. 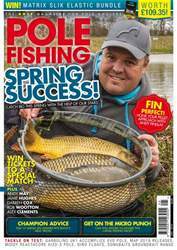 On top of this, Frankie Gianoncelli lifts the lid on his tactics for catching bonus fish from canals, and Des Shipp’s tells you exactly how he won the £2000 Wychavon Final on the Warwickshire Avon! There’s a host of exciting new tackle, and the pole fishing team hit Woodside Fishery with two of the latest poles; Maver’s Elite Carp Series Four and Drennan’s Acolyte Carp. For all this and more, get downloading this action packed issue now!